Protein is crucial to muscle building as it is the main building block of muscle tissue. If you are trying to build muscle then getting enough protein in your diet will be deciding factor in your success. Getting the high levels of protein you need from food alone can be difficult. Therefore many people use and benefit from protein supplements. Protein supplements help increase size, strength and speed of recovery. Protein supplements are convenient and easy to use providing you with a great tasting quality protein source. Looking for a protein supplement is not easy as there are so many different types. The following should help you find a protein supplement suitable to your needs. Some major factors to consider is the levels of protein and levels of muscle building amino acids leucine, isoleucine and valine. Whey protein is one of the most popular protein sources on the market due to its muscle building properties. Whey protein is high in muscle building amino acids and has a high BV making it a fast acting protein. Whey protein is a staple among many bodybuilders and is present in many a gym bag without fail. Whey can be beneficial in; sports nutrition, weight management, immune support, bone health and general wellness. Whey protein also stimulates muscle protein synthesis after exercise crucial to building muscle. As a result it is used by bodybuilders, endurance athletes, dieters and those who play team sports. Whey protein is a high quality protein that comes from milk and is a by-product of the cheese production process. 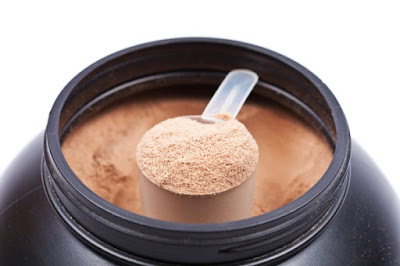 When buying whey protein there are a number of factors to consider. Protein content- you can usually expect about 20g-25g of protein per serving which is ideal. A cheaper product may seem appealing on price but let you down in protein content. Carbs and fat content-levels of carbs and fat should be minimal. Added ingredients- maybe cheap products are just full of added sugars and additives to make them great tasting or lower the price. These again should be minimal. When muscle building you need to care what goes into your body. In general make sure content fits your goals. Stay away from cheaper products of you can. You may feel you are getting a good deal but the nutrition label never lies. You get what you pay for really. The timing of intake can be important to really boost your muscle building potential. The best idea is to take protein when you need it. You will need a fast acting protein first thing in the morning and immediately after exercise. At these times your muscles are screaming out for some quality protein. Give them what they need with a good quality whey as soon as you wake up and straight after your workout. Whey Concentrate- 75% protein by weight, whey concentrate is cheapest but contains the highest levels of fat and lactose. Whey Isolate- This is whey in its purest form, process to remove the fats and lactose. 90% by weight is pure protein providing the most amount of protein per serving. A quality protein that contains virtually no lactose or fats. Whey Blends- this is the most popular type and is a combination of isolates and concentrates. This produces a high quality protein supplements that is affordable with a good amino acid profile. Accounting for 80% of protein in milk, casein protein is a much slower digesting protein than whey protein. Casein protein has a protein value of 92% and is very popular with weight gainers. Although having a lower BV than whey protein it is more efficiently used to build muscle. Casein is popular as it is used by the body to build muscle and less is used as an energy source. This way casein encourages the body to use carbs and stored fat as energy. Casein protein is also popular as it is high in the body building supplement glutamine. Casein protein has a strong anti-catabolic effect due to the slow steady release of protein that comes with taking casein protein. In fact casein has been shown to sustain steady amino acid elevations for up to 7 hours. Casein can be used in conjunction with whey protein. As mentioned above it is best to take whey when the body needs a quick protein supply. Casein on the other hand is needed when you need a slow release of protein. The most important time to take casein is therefore before bed. When the body sleeps most of the muscle rebuilding and repairing takes place and therefore needs a steady supply of nutrients, particularly protein. Casein just lends itself to this job. Much more easy on the stomach than a steak before bed, eh? Soy protein is a high quality protein however is not as efficient as whey protein or casein in building muscle. Soy protein is a fast digesting protein with a fairly average amino acid profile. You can take soy protein at any time throughout the day to boost protein intake and can be taken pre and post workout. Soy protein is suitable for vegans and those who are lactose intolerant making popular in these circles. Soy protein is lean in terms of carbs making it good for bodybuilders and fat burners, and supports a healthy immune system. Soy protein is also popular as it contains high amounts of glutamine. The body uses glutamine to transport nitrogen to the muscle tissue. This increases cell volume through cellular hydration. Soy protein also has the ability to produce nitric oxide which increases the blood flow driving more nutrients to the muscles. Despite all these benefits there is an unsettled debate among some bodybuilders who state that as it contains plant oestrogens that this will limit the effects of testosterone. They believe that this will store fat and limit muscle building. However as this debate continues many have seen benefits in their muscle building by using soy protein supplements. The benefits of eggs in muscle building is well known with many people chugging them down raw. The fact remains that eggs have the highest amino acid profile available in a single protein source. Egg protein supplements are made up from egg whites which contain most of the protein and none of the fat making them fat free. These supplements have a medium rate of digestion and are suitable any time of the day. Egg proteins are also completely absorbed containing a complete make up of essential amino acids, BCAA’s and glutamic acid making them hugely effective. There are a huge range of protein supplements that can boost your protein intake throughout the day. It should be remembered that these are supplements and should be used to add extra protein to an already nutritious and varied diet. When buying protein supplements check the label for any rubbish ingredients you really don’t want to be ingesting. You may feel that going for a cheaper option is best but these products are usually full of suspect ingredients. You get what you pay for.